Are you worried about pregnancy stretch marks? This post contains affiliate links. Please see the disclosure page for more information. Stretch marks are a common concern for pregnant women. While stretch marks can represent an amazing transformation that happened in our life, they just aren’t pretty. In my experience, getting rid of stretch marks isn’t easy so I recommend focusing on prevention first and treatment second. Here are some creams that can help prevent and/or minimize the appearance of stretch marks. Bio Oil– Some women swear by bio-oil. According to Amazon, it’s the “#1 selling scar and stretch mark product in 18 countries and winner of 224 skincare awards”. Mederma Stretch Marks Therapy– It’s a paraben free product that claims to perform in 4 weeks. Palmer’s Products – A well-known brand that offers a Tummy Butter and a Massage Lotion for stretch marks. Body Merry Stretch Marks & Scars Defense Cream– It’s a cruelty-free and safe body butter that is unscented and full of anti-oxidant rich ingredients. The Spoiled Mama Tummy Butter for Stretch Marks– It’s vegan, organic, and toxin-free. It claims to prevent new stretch marks, fade they old ones, and soothe the skin. Basq Advanced Stretch Mark Butter– It has a 2018 award from The Bump for being “A stretch mark cream that actually works”. 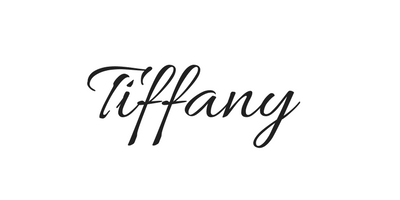 The website also reports that it is “Free From Parabens, Phthalates, Mineral Oils, Sulfates and Artificial Colors. Allergy and Irritant Free”. 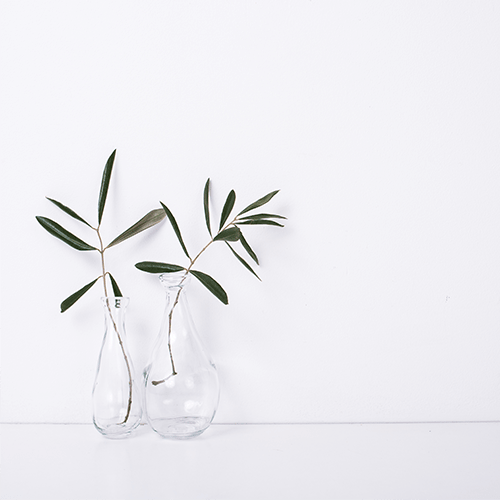 OY-L Body Butter– This product isn’t specifically targeted to stretch marks; however, it is a butter with all natural, non-toxic ingredients that are ‘ultra-hydrating’. 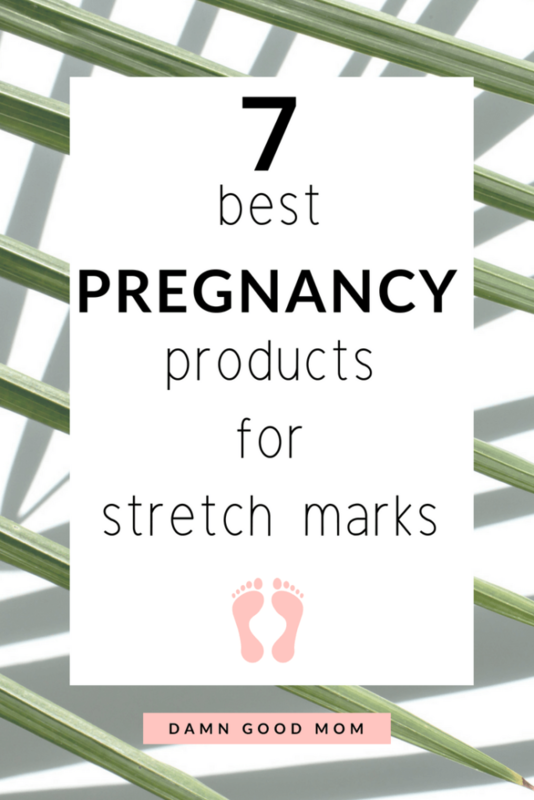 If there is a stretch mark product that you love that isn’t on the list, let me know in the comments. Also be mindful that you can use natural butters and oils for moisturization. Coconut oil- I slather coconut oil on everything. When I want something heavier, I will add an organic, raw shea butter. 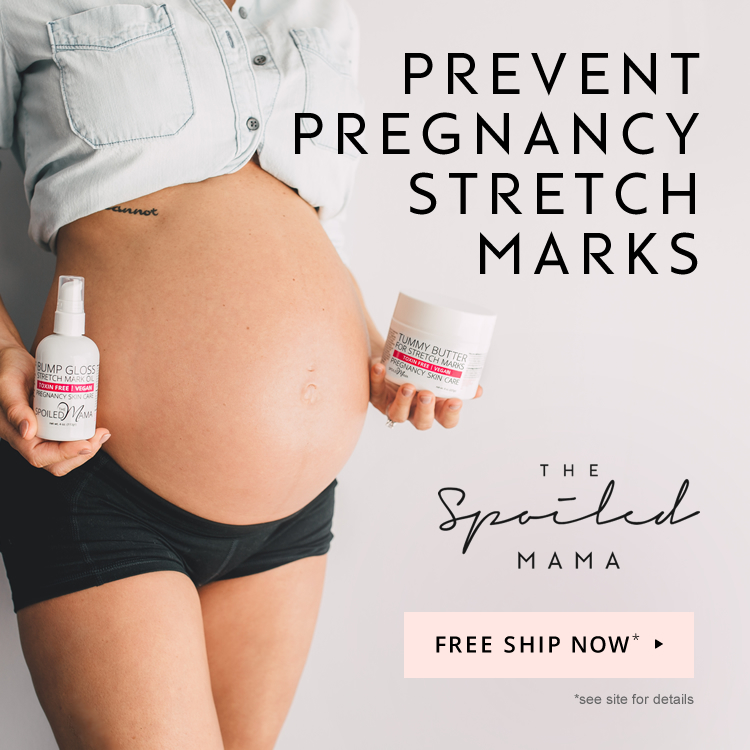 I used both products throughout my pregnancy and ended up with very few stretch marks, all of which appeared around my 38th week of pregnancy. No matter what you choose, be sure to pay attention to the ingredients. The skin absorbs what we slather on our bodies, so it is better to choose products that are non-toxic and safe for your growing baby. Drinking adequate amounts of water has many benefits, especially during pregnancy. Nine months isn’t a long time and your baby and your belly will be growing rapidly. Taking the steps to avoid dehydration will help maintain your skin’s elasticity. There are foods that help boost collagen and improve skin health. Carrots sweet potatoes and pumpkin are great sources of vitamin A.
Oats, nuts and seeds, and avocados can boost vitamin E.
A balanced diet is not just great for the skin, it’s great for your entire body. Check out a list of 38 nutrient-rich foods to support your pregnancy. Staying active increases blood circulation which is how all the good stuff (water and nutrients) you eat gets shared throughout the body. I worked until two weeks before my due date and stayed active by walking the parking lot and taking the stairs (and there were lots of stairs). I believe it helped. You will want to check with your medical provider before starting an exercise routine. Letting the skin get dry may be asking for trouble. Find products to keep your skin moisturized and supple. If you do all you can and still end up with some stretch marks, don’t stress. YOU ARE A BEAUTIFUL MAMA! I did all the recommended things listed above and kept a glowing body and still ended up with some stretch marks. Many of the stretch marks faded a few months after giving birth. But as my stomach deflated so did the marks. and The ones that remain, well…they are barely visible and they are now part of my journey. I had to learn how to fall in love with my postpartum body and heck, this body grew a baby! There is no reason for me not to love it. If you are growing baby, your body is working extra hard and it deserves love and not criticism. Your body is beautiful, stretch marks will not change that. Do what you can to prevent and treat stretch marks but fall in love with the body that grew your family. For more pregnancy and new mom life content, follow along on Pinterest.